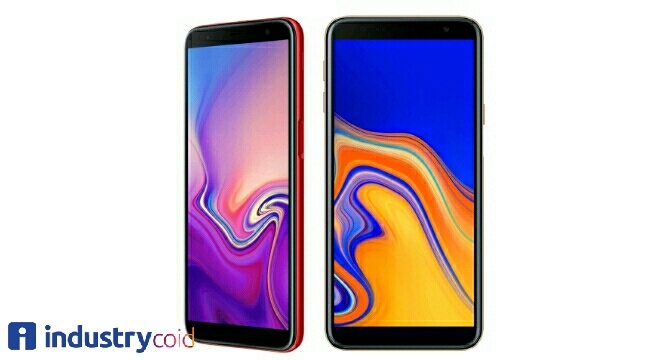 INDUSTRY.co.id - Jakarta - Samsung Electronics Indonesia announces the newest members of the Galaxy J series, namely Samsung Galaxy J6 + and J4 +. Featuring elegant designs and displays, enhanced cameras and high performance capabilities, these two products allow users to get more from previous Galaxy J smartphones. "Galaxy J6 + and J4 + are an overview of the fundamentals of Samsung Galaxy innovation, to bring extraordinary style and technology at very competitive prices," said Denny Galant, IM Business Head of Product Marketing, Samsung Electronics Indonesia in a press release received by INDUSTRY .co.id, Friday (09/28/2018). The Galaxy J6 + and J4 + has a back cover that looks like glass, enhancing the overall dimensions and distinctive design of the Galaxy J series. Ergonomic curves that provide a premium look and feel and a sleek impression, guarantee both the latest Galaxy J series remain comfortable in the grip. Thin bezel and wider screen, 6.0 "HD + Infinity Display, the style of Galaxy's premium flagship smartphone, offers a more intense gaming experience and multimedia content. Infinity Display also allows multi-tasking to be more convenient, with the Split Screen feature using a large screen size, allowing users to enjoy two applications simultaneously. The Galaxy J6 + and J4 + also have a face recognition feature to easily unlock, the Galaxy J6 + has a fingerprint scanner on the smartphone side, adding extra security and comfort without compromising with smartphone design. Reflecting the importance of cameras for consumers, the camera experience in these two products has been improved. The Galaxy J6 + features a 13MP Dual Camera and 5MP, which allows consumers to capture the natural Bokeh effects in their shots, so the results are more dramatic. With Live Focus on the Galaxy J6 + Dual Camera, the depth of field can be adjusted at any time, either before or after you take a picture, to ensure that perfect moments can be captured more often. Both devices also feature an F1.9 (13MP) aperture that allows more light to enter, making the Galaxy J6 + and J4 + perfect tools for taking clear, bright images, even in low-light conditions. In addition, the floating shutter button allows you to take photos easily with just one hand. Building on the premium look and feel, both the Galaxy J6 + and J4 + offer outstanding performance credentials throughout the audio field, battery life and memory. Integrated on both devices is Dolby Atmos technology, which provides comprehensive and deep surround sound. The Galaxy J6 + and J4 + include a 3,300 mAh battery, 10% more than the previous Galaxy J model, so users can rely on their phones even longer. This device also features Power Saving Mode, which simplifies Home Screen and closes inactive applications to extend battery life. In addition, a powerful 1.4GHz Quad-core processor means that this device is capable of carrying out more sophisticated tasks, such as running high-resolution video, without draining the battery. In Indonesia, Galaxy J6 + comes with two choices, 3GB RAM with 32GB memory for Rp. 2,7999,000, and 4GB RAM with 64GB memory at a price of Rp. 3,499,000. While the Galaxy J4 + offers 2GB of RAM with a choice of 32GB memory for Rp. 2,199,000, and an exclusive 16GB memory is only sold online for Rp. 2,099,000. Both devices also have up to 512GB of internal memory with a microSD ™ card, giving users maximum flexibility and performance. The new Galaxy J6 + is available in three stylish colors: Black, Gray and Red, while the Galaxy J4 + is offered in Black and Gold.